London Art Book Fair… and then some. September seems to have propelled itself past us like a bat of hell (or perhaps that rocket fuel we experimented with this summer has taken effect). Either way we’re approaching the last week of this manic month and there’s a heck of a lot more on the cards. This weekend is the London Art Book Fair at the Whitechapel Gallery in East London. It’s the first time Nobrow will have a stand there so we’re super excited to be part of the throng. Over the course of the weekend we’ll be joined by two artists, Jamie Coe and Simona Ciraolo, who will be signing books with us at Table 18 on the ground floor. But selling our wares at London’s biggest Art Book Fair is not enough, pffft don’t be silly, we’ve got far more for you to do than that! At 4pm on Saturday 27th, a workshop titled Book Dissection: The Art and Craft behind the Product will be taking place at Whitechapel and will be run by Nobrow co-founder Sam Arthur and designer Emily Sear. Dissect our books, recycle the materials and create your own. There are limited spaces so reserve now or forever be filled with regret. Later that evening we’ll be officially celebrating the release of Jamie’s new graphic novel Art Schooled with a launch at Gosh! on Berwick street. Jamie will be at Gosh! in the afternoon for a live window drawing and from 7pm onwards we’ll be toasting his book with drinks, a signing and much, much merriment. All this in the middle of an office renovation. Multitasking at its finest. 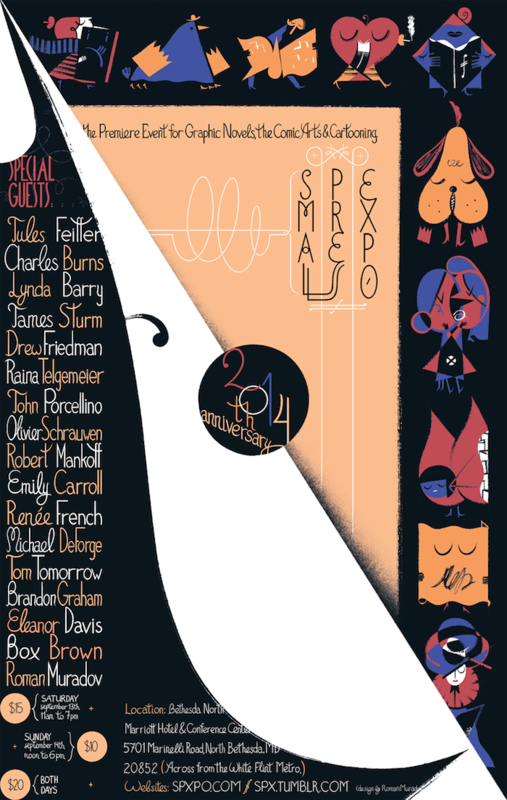 Three Nobrow Artists, One Show: SPX 2014! Nobrow is headed to Bethesda, Maryland and we’re bringing the thunder down hard on SPX! One of the best and most popular shows in the indie comics scene, SPX is celebrating its 20th Anniversary this year, and it’s looking to be the best SPX yet! Nobrow’s US team of former Prom Kings will be there, holding down the fort at Tables W34-35. We’ll be showing off our amazing lineup of books, including John Martz’s Ignatz Award nominated Destination X. We’ll also be bringing in the big guns this year with not one— but two!— SPX-exclusive debut books: Roman Muradov’s hotly anticipated graphic novel debut (In a Sense) Lost and Found, and Dustin Harbin’s insanely detailed and massive leporello Behold! The Dinosaurs! Not enough for you? Two handsome debut books at one of the greatest comics shows in the world and you still want more? Well how about this: Signings from THREE of Nobrow’s newest cartoonists! Andrew Rae will be flying out from England to sign his first graphic novel Moonhead and the Music Machine from 11am to 12pm on Saturday, Roman Muradov will be signing (In a Sense) Lost and Found from 1pm to 3pm on Saturday and Sunday, and Dustin Harbin will be signing copies of Behold! The Dinosaurs! on Saturday and Sunday from 2pm to 4pm just for you! Those deafening sounds of excitement in your very souls, getting stronger with every beat of your heart? That would be Nobrow— bringing the thunder as promised. When asked whether we’d like to run a workshop at the Victoria and Albert Museum as part of London Design Festival there was little else we could do but rush to the kettle for the most sedative cups of tea we had on hand (camomile, if you’re interested). The answer of course was a unanimous roar of YES (slurp of tea) PLEASE (slurp again)! We were thrilled at the opportunity and quickly put our heads together to come up with a workshop befitting of the invitation, and brief – design in books and illustration. For those of you that don’t know, London Design Festival started up in 2003 and in its eleven years in action has grown to become one of the most important annual design festivals in the world. It is made up of over 300 events and exhibitions, involving every aspect of design. It is a thrilling time of year to be in London. 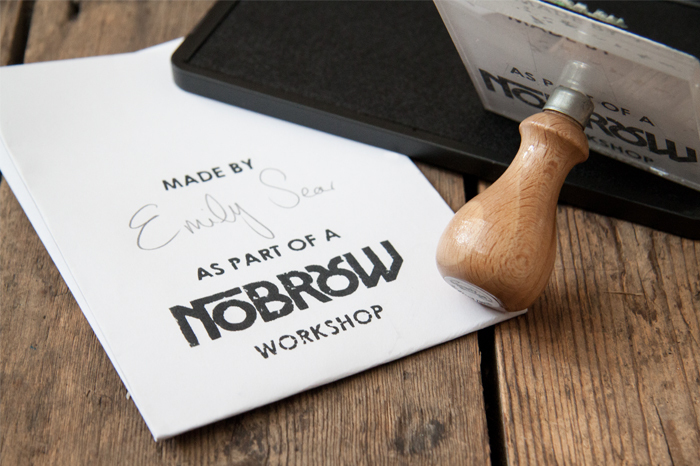 So, this Saturday (13th September) come join Nobrow designer Emily Sear in creating your very own zine. Inspired by the annual Nobrow magazine, we’ll be asking you to unleash your imagination through illustration. With the brief in hand you will be asked to consider elements of design with colour (restricted), content (structured) and layout. See you there. 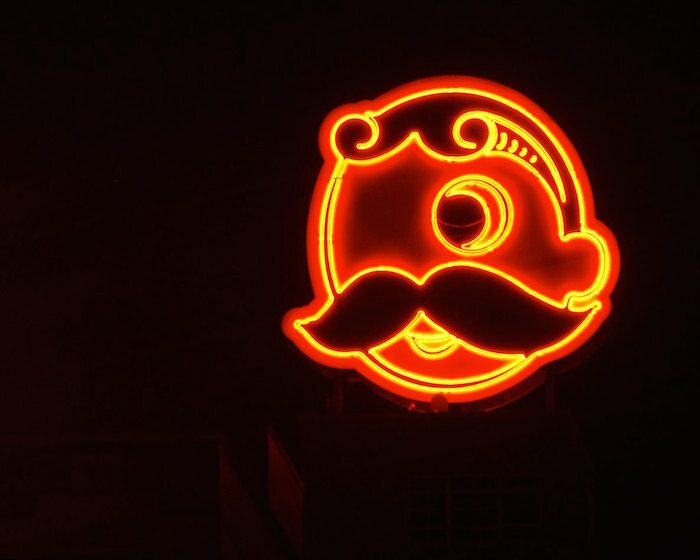 Fry up those crab cakes and crack open a case of Natty Boh, because Nobrow is heading out to Baltimore Comic-Con! Going strong on its fourteenth year, Baltimore Comic-Con is known far and wide as one of America’s beloved comic book conventions, and we at Nobrow are very excited to be a part of it. We’ll be there with a whole bunch of our great Nobrow books, hanging out with our comicbookin’ pals from all over the world and rubbing elbows with Chewbacca himself (arguably the greatest Wookie of all time). It’s all happening from September 5th through the 7th where Nobrow’s US team will be setting up shop at Table 2202. They’ll be proudly showing off all of the latest Nobrow releases as well as some other surprises that you’ll just have to see to believe. Better start making room in those oversized swag bags!